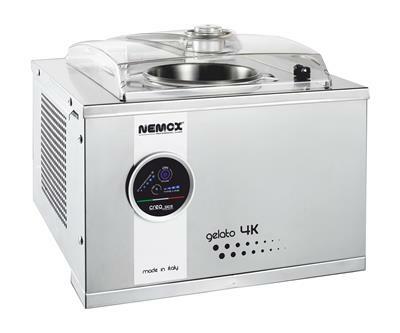 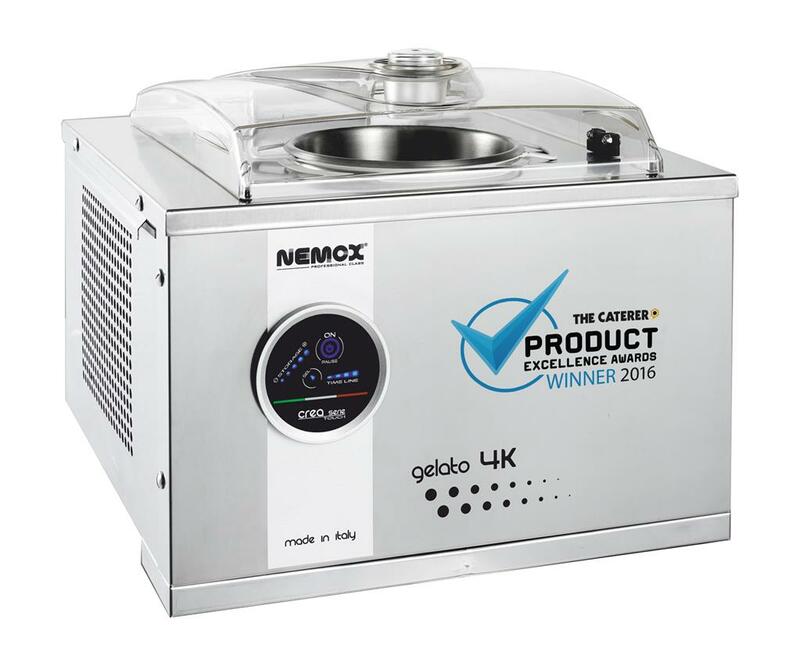 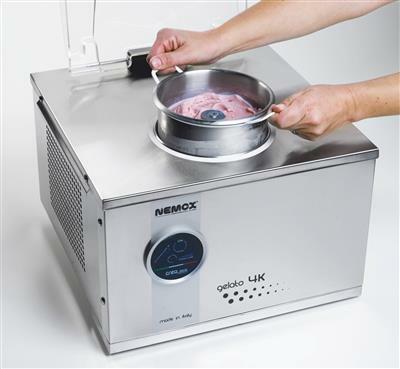 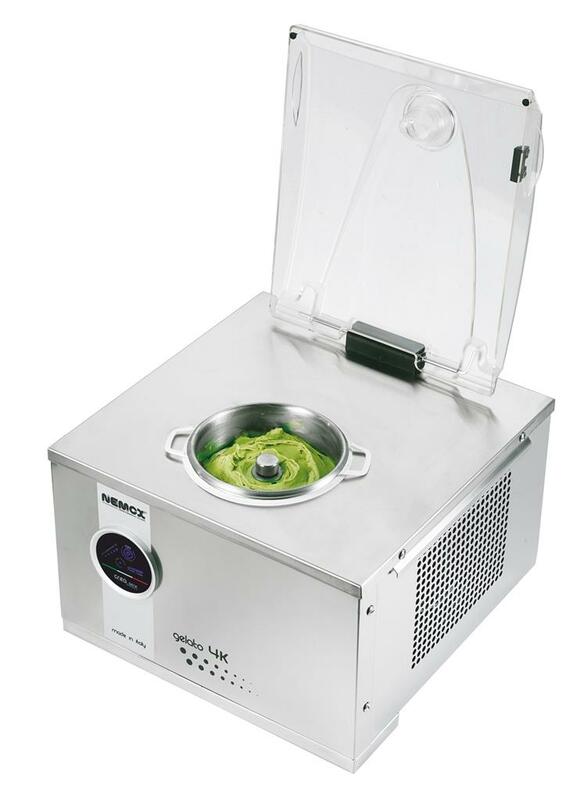 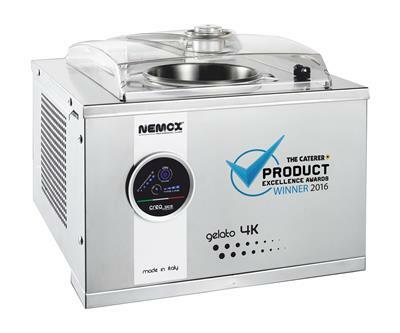 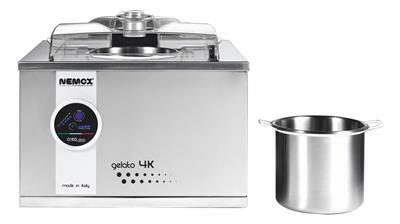 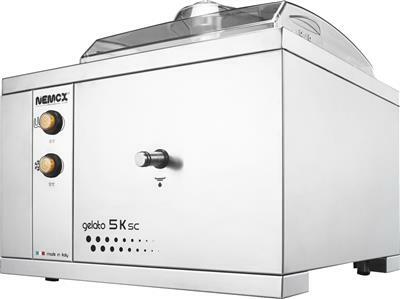 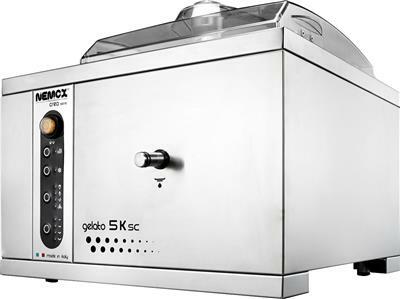 Nemox® Gelato 4k touch Gelato 4K Touch, uses the latest technology available creating an easy to use Gelato machine with fully automatic functionality. 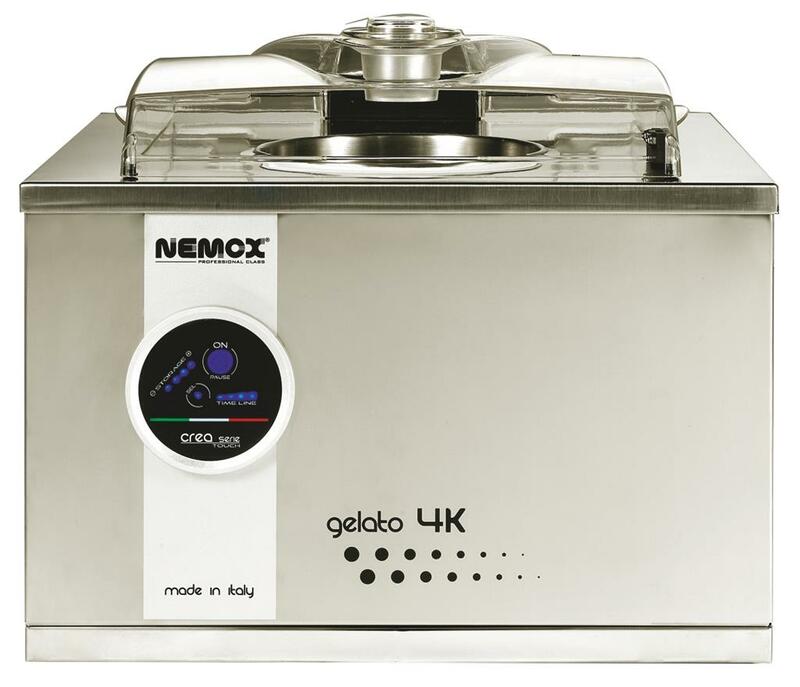 When the production consistency is at the right density the machine automatically goes into storage mode, continuously lapping to keep the gelato mixture at the right consistency. 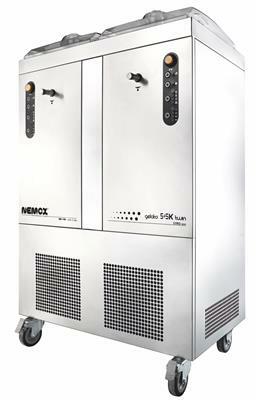 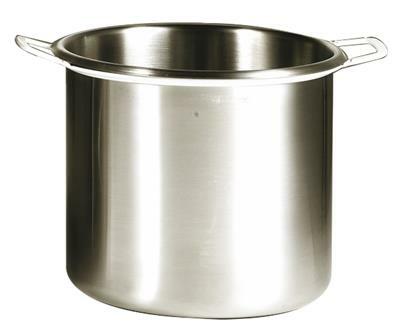 Five storage levels are available and can be set at any time during storage (from softer to harder consistency). 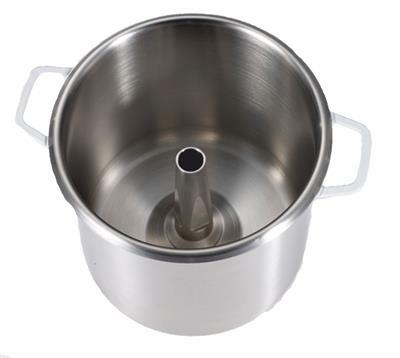 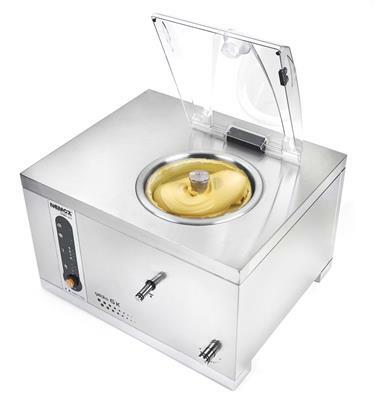 Ice cream can be stored for a maximum period of 8 hours, after which the machine switches off automatically.